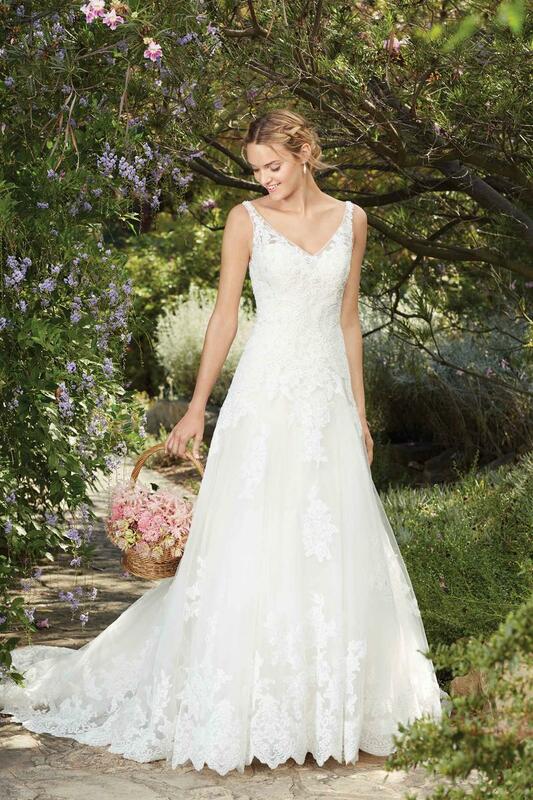 Alencon lace, tulle and organza combine to create a dreamy A-line silhouette. 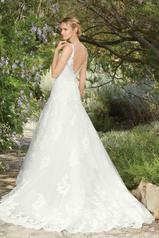 A flattering dropped waist cascades into a train featuring a scalloped edge. 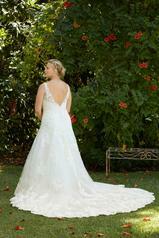 The perfect V-shape flatters both the front and back neckline of the Plumeria bride.